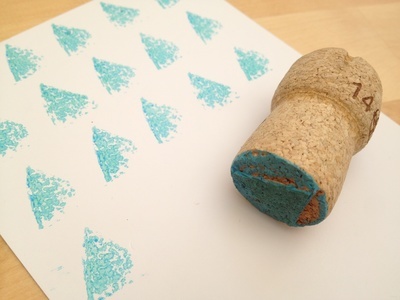 Instead of buying little stamps, you can make your own from a cork. They look great on a repeat and you can make simple but effective patterns. 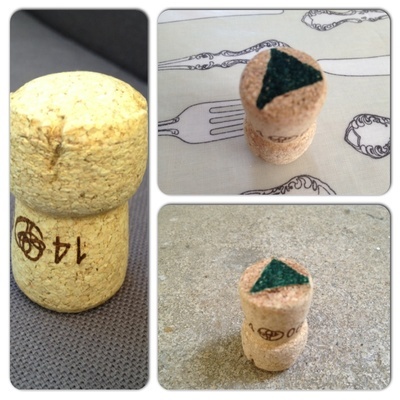 Draw a simple shape on the bottom of the cork. Straight lines are easier. Cut out leaving the shape in the centre. This is best done by an adult for safety. 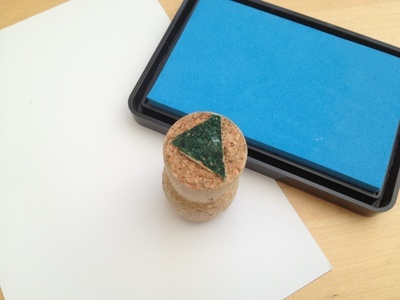 Use an ink pad and stamp to your heart's content.